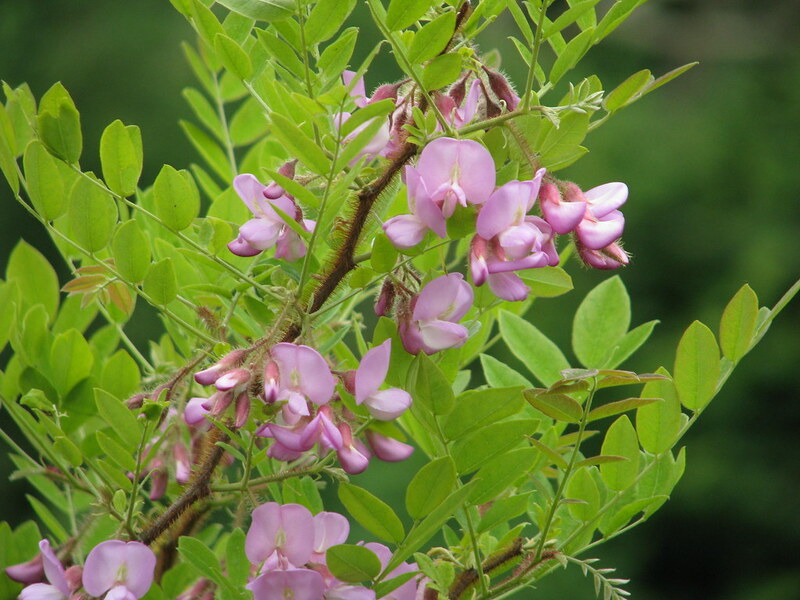 I requested seeds of "Incarvillea zhongdianensis alba" from the AGS exchange back in 2011. 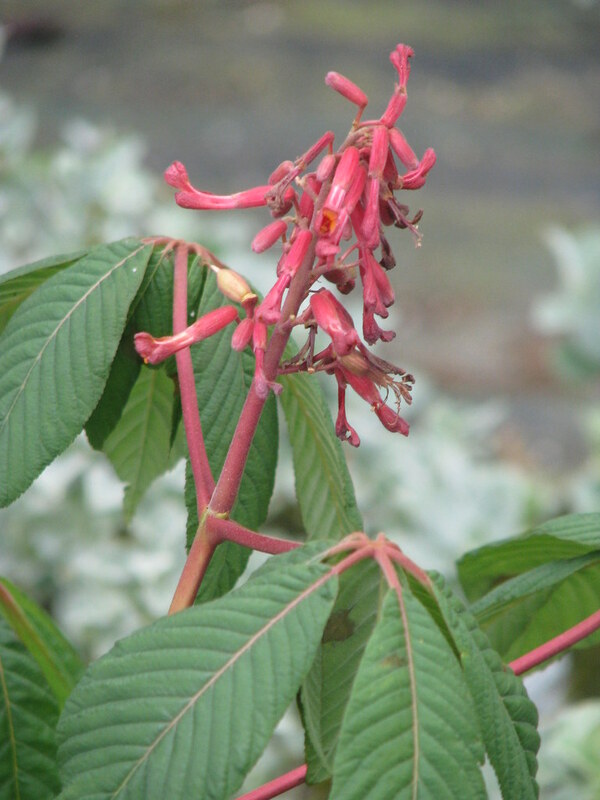 Most of them came up as I.delavayi but one came up with very rich pink flowers, well textured foliage and a bit shorter at 8-10ins tall. 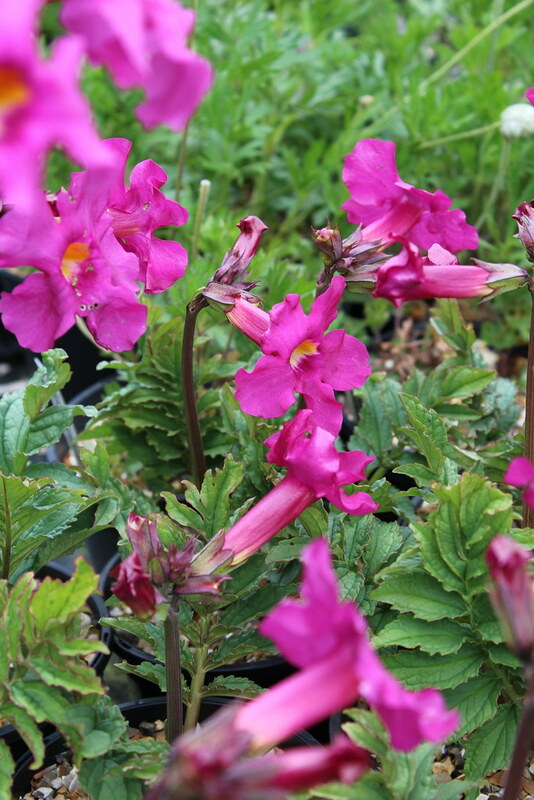 At first I thought it was a dark pink form of delavayi (which is itself a good thing as there aren't many cultivars of the species) but now I think it might be a hybrid. 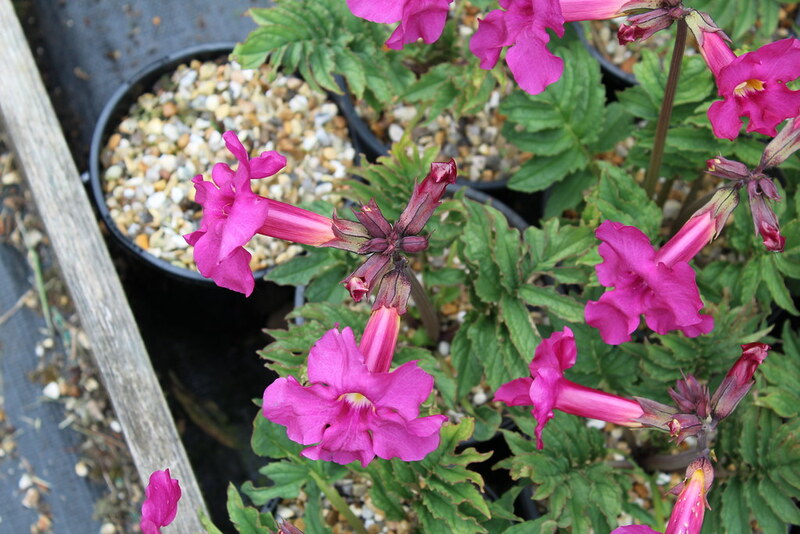 At any rate it's a very good colour (it really glows on the nursery at the moment), it seems very tough (other species have been a bit hit and miss for me here) and it comes +/- true from seed so I've been raising as many as I can and this year I'm offering it for sale. 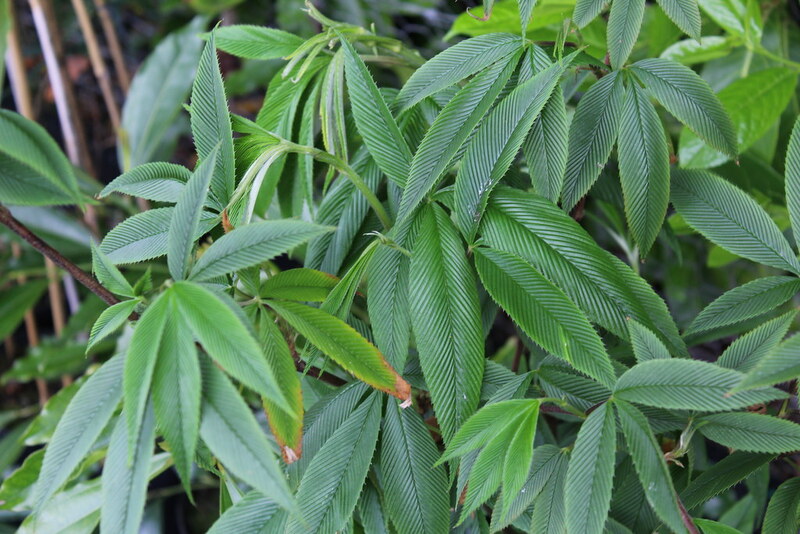 R.lineatus is a gorgeous species grown for its finely textured palmate foliage – fresh green above, silver beneath. It forms a suckering colony and can travel quite widely but I’ve never seen it become a real nuisance like some Rubus. I’d grow it among other shrubs and robust herbaceous perennials and let it wander about. 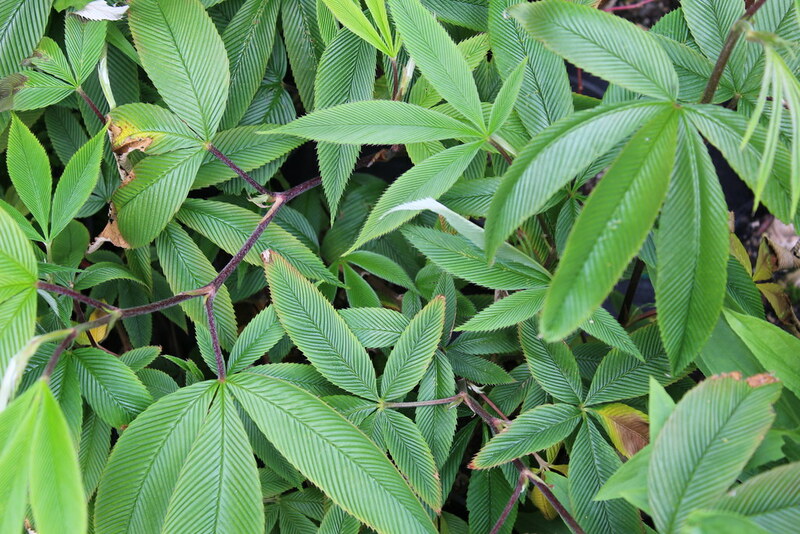 The contrast with broad leathery leaves is very telling. As the foliage is damaged by drought and freezing winds it needs moist sheltered woodland to look its best. 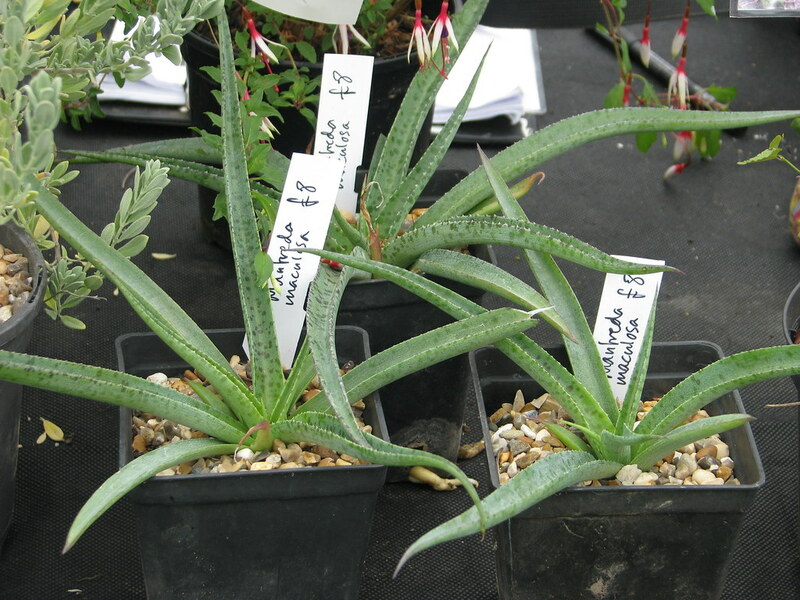 Related to Agave and Yucca – this is a small Aloe-like perennial from Texas. 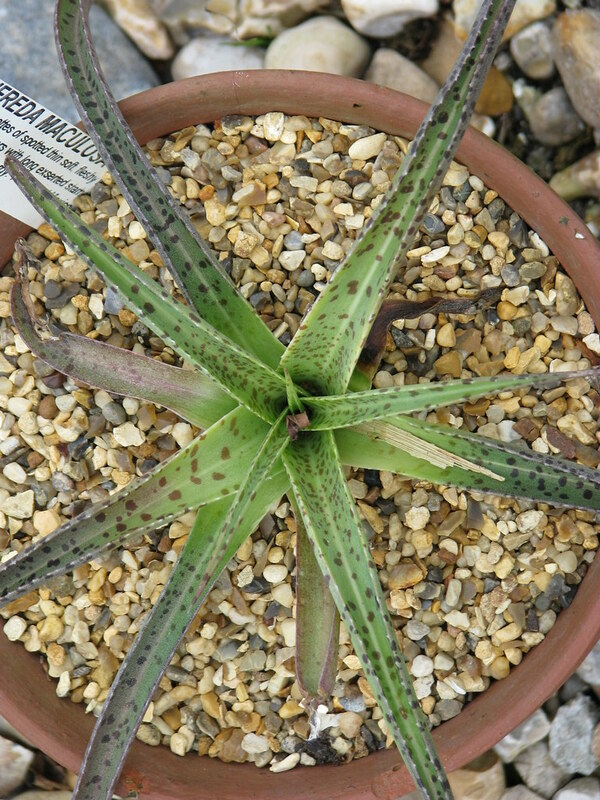 The grey leaves have conspicuous black spots, are soft and brittle, and without spines. 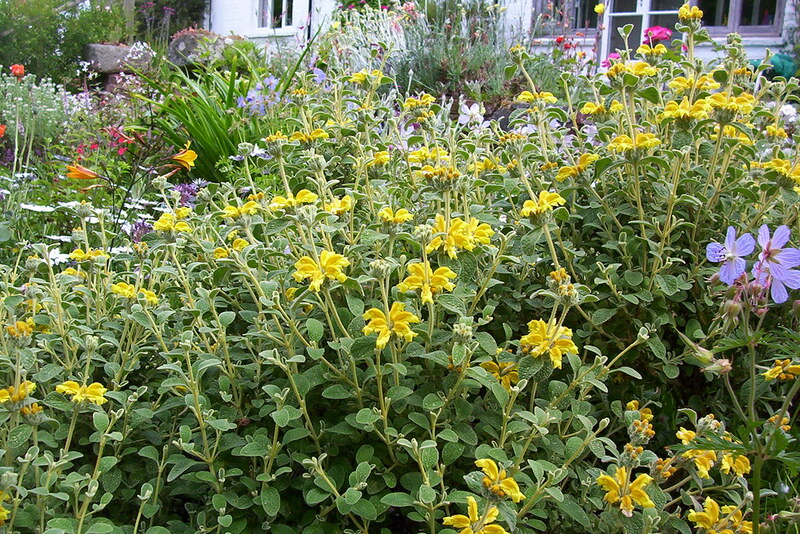 A dwarf version of the well-known Jerusalem Sage. 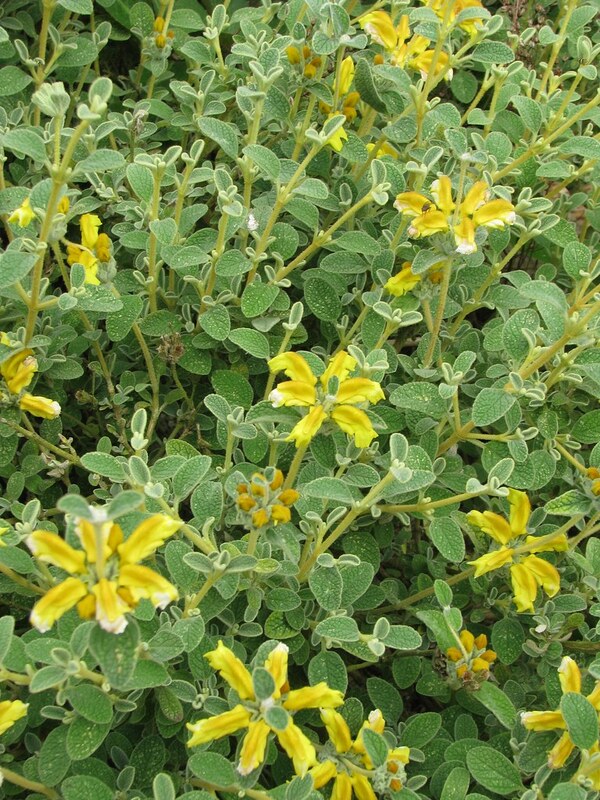 The flower heads are a similar (but I think better) dusky gold colour and the foliage is of much the same fuzzy grey green, but everything about the plant is neater and better shaped than the larger species. 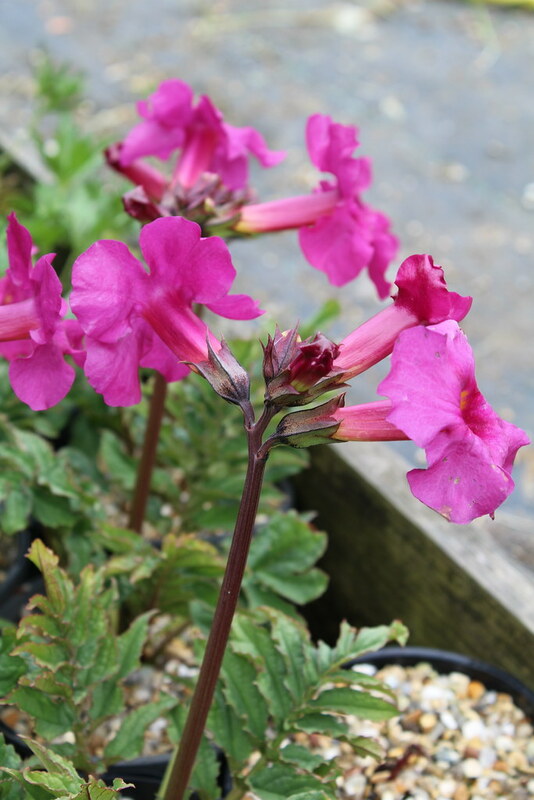 This is another plant previously thought to be too tender for most gardens, I've found it very easy to please so far, given protection from freezing winds, full sun and free drainage. Height ultimately about 2ft, 4ft across. 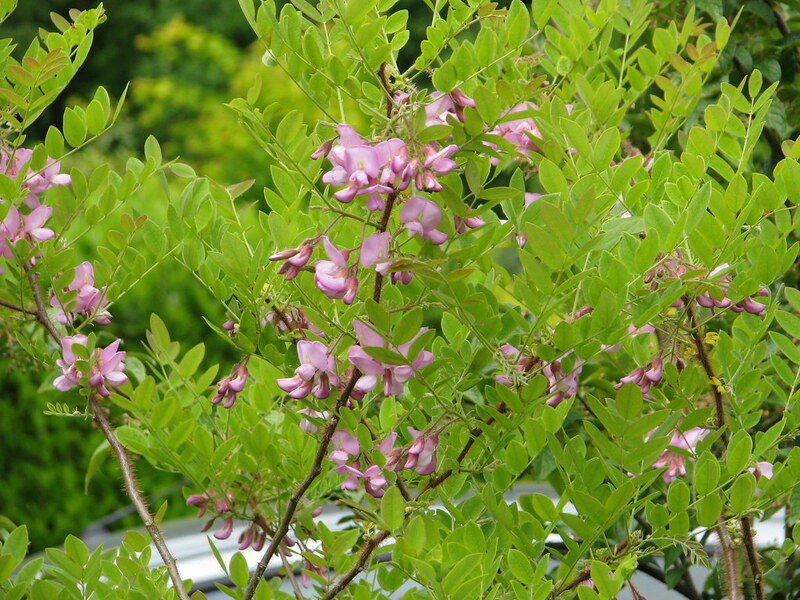 I’ve been wanting to reintroduce some of these shrubby Robinias for a long time – nobody seems to be doing them anymore but they’re a beautiful group (quite unlike the immense and frankly weedy black locust tree - R.pseudacacia) with lovely fresh green pinnate leaves and beautiful rosy pink pea flowers. 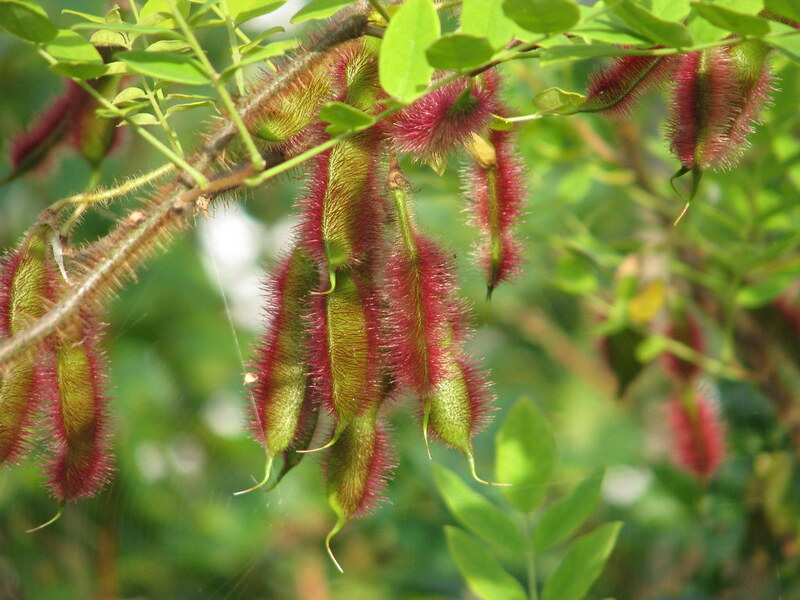 The new shoots and seed pods are bristly red. Very classy. 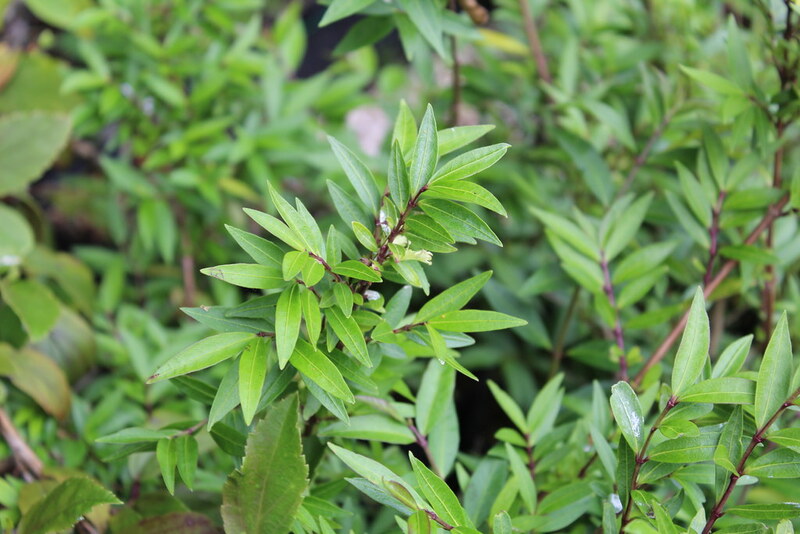 Medium-sized multi-stemmed shrubs, easy to grow in any well-drained soil in sun. 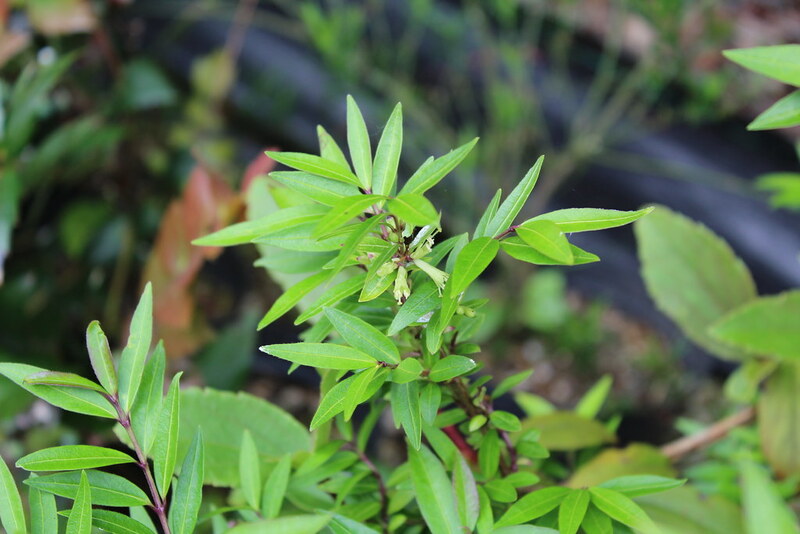 Lonicera pileata has recently been reclassified as a form of ligustrina, and this is a form with longer narrower leaves than usual. 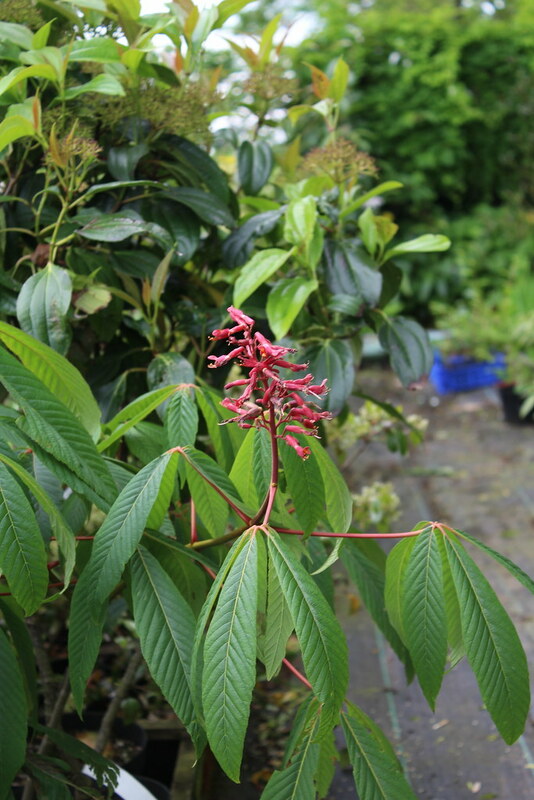 I have no real idea why these are not seen a lot more often in UK gardens – this shrubby buckeye is a sensible size for small gardens, has rich red tubular flowers in late spring and good foliage. 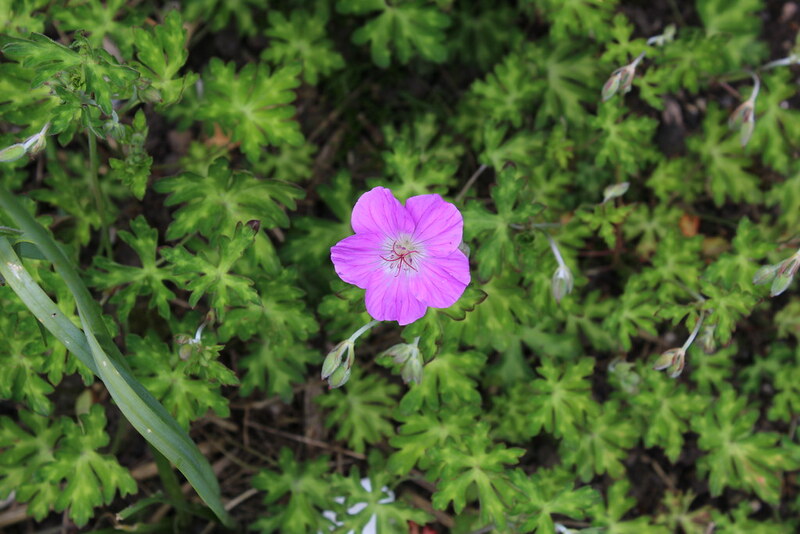 It’s completely hardy in the UK (even to late frosts when the new foliage is emerging) and makes superb addition to the shrubby layer in a woodland garden. These are grown from wild collected seed – not grafted. 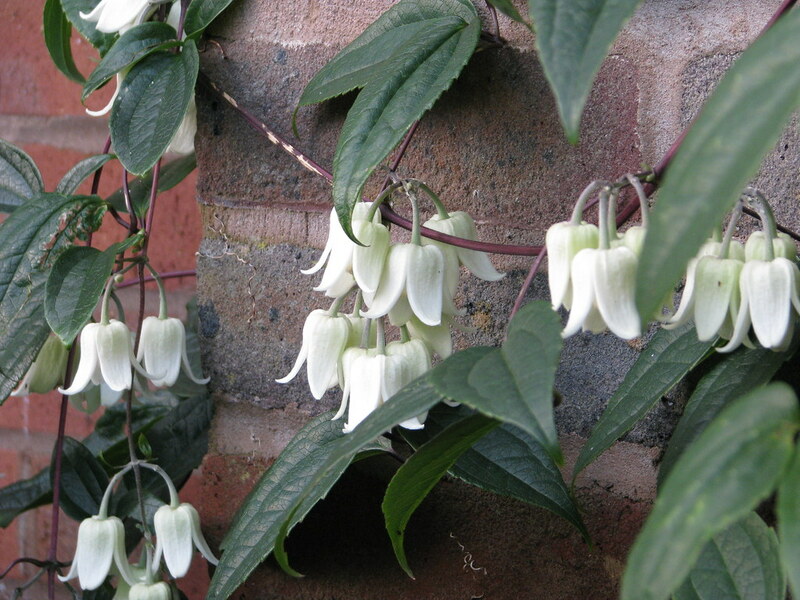 A deservedly popular winter flowering evergreen Clematis with handsomely textured leaves and soft felted white flowers of just under an inch across. 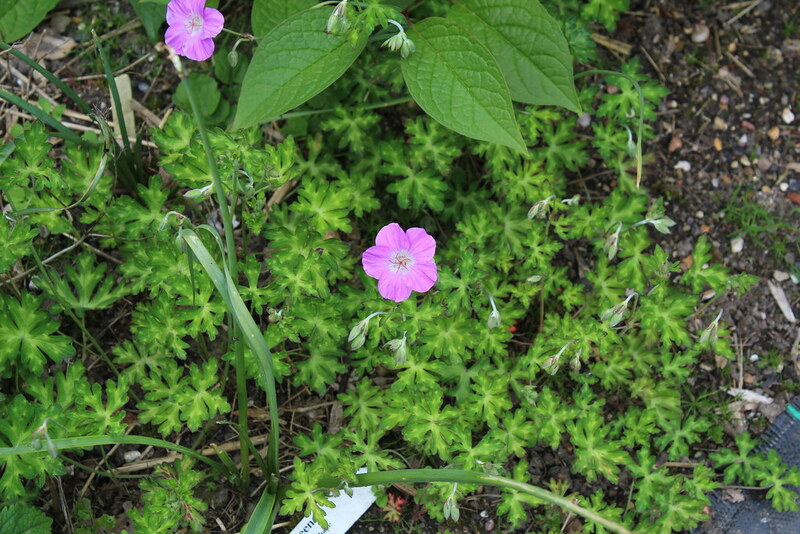 There have been doubts as to the hardiness of this one but it has grown and flowered in our front garden without any damage through the last three winters. 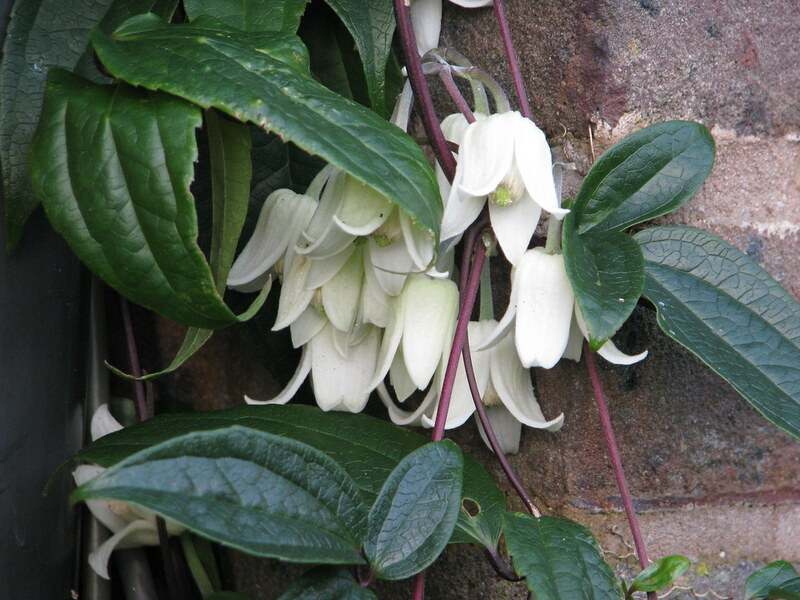 To be on the safe side I'd give it plenty of sun but shady and moist at the base, and shelter from the worst of the weather, in other words, exactly the same as for cirrhosa and armandii. A choice ground-covering species with rosy pink flowers but the main thing is the leaves which are beautifully marbled with lime green.